Luminary celebrates its 15th birthday by reflecting on the growth of the digital industry in Australia. We're getting ready to blow up the balloons, don the party hats and light the candles to celebrate our fifteenth birthday here at Luminary. One of a few remaining digital agencies born out of the dot-com boom in 1999, Luminary is not only still standing today, our company has gone from strength to strength over its fifteen year lifetime and remains at the forefront of web design, development and digital strategy in the Australian market. 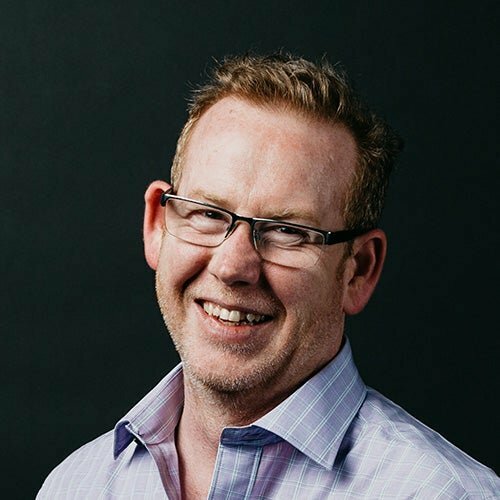 “Fifteen years ago, when the Internet was a really new thing and few companies knew how to actually get started in this space, we saw a need for a digital agency that could help small-medium businesses and organisations find their way and establish an effective internet presence, so Luminary was born,” says our co-founder and CEO, Marty Drill. Today our team boasts a portfolio of over 700 brands, including some of the biggest names in Australian government and the retail and corporate sectors. The Luminary team - once just a team of four - has grown to be 40+ strong and is making its contribution to the economy in Victoria. “We can’t wait to see what the next fifteen years has in store for us as an agency and for the digital world,” says Marty. Luminary is proud to have been creating digital experiences since 1999. With a portfolio of over 700 brands, including some of the of biggest names in Australian government, retail and corporate, our team’s knowledge and understanding of digital strategy is unmatched within the market. This expertise, mixed with a superior client engagement model is what sets us apart from other web development agencies. Our team works hard to understand our clients’ individual needs - from discovery, design and development through to hosting and digital marketing. Moreover, our core company values ensure that every project delivers a digital experience that truly matters - to the client, to our audience… and to our Luminary team. Whether it’s a site refresh, going mobile, extending into ecommerce or creating a fully responsive digital experience, we pride ourselves on crafting an approach that fits each client’s brand and delivers to their specific organisational objectives. Luminary is also a dedicated hosting company and provides hosting services to over 1,000 clients. We were appointed to the Victorian Government's eServices Panel in 2011.